Got Spirit? The Holy Spirit, that is? Great! Come to Bible Palooza and get some more! Our next Bible Palooza is Sunday, April 22, 12:15-3:30PM. Children and youth of all ages are invited to join us for a yummy lunch, crazy games, music to remember, crafty creations, Bible learning, fun, fun and more fun! 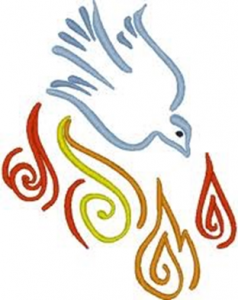 Our theme is “Knowing the Holy Spirit.” RSVP to Pastor Ruth, Susan Turnbull or the Church Office by Sunday, April 15. All are welcome. Families, have you thought ahead to Easter morning? Bring your kids to the Easter Sunrise Service at 6:30 AM in Pastor Ruth’s back yard (behind the Parish House), and stay for Easter Breakfast. Come again to Easter Worship at 10:45 AM in the Chapel and stay for an Easter Egg Hunt after worship! All welcome!